The vast majority of pattern recognition applications assume that data can be subdivided into a number of data classes on the basis of the values of a set of suitable features. Supervised techniques assume the data classes are given in advance, and the goal is to find the most suitable set of feature and classification algorithm that allows the effective partition of the data. 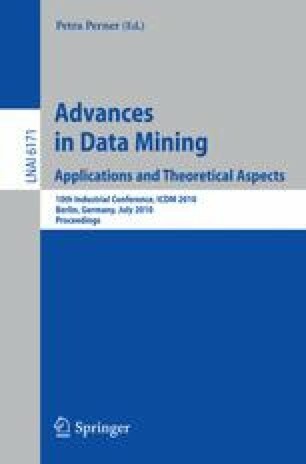 On the other hand, unsupervised techniques allow discovering the “natural” data classes in which data can be partitioned, for a given set of features.These approaches are showing their limitation to handle the challenges issued by applications where, for each instance of the problem, patterns can be assigned to different data classes, and the definition itself of data classes is not uniquely fixed. As a consequence, the set of features providing for an effective discrimination of patterns, and the related discrimination rule, should be set for each instance of the classification problem. Two applications from different domains share similar characteristics: Content-Based Multimedia Retrieval and Adversarial Classification. The retrieval of multimedia data by content is biased by the high subjectivity of the concept of similarity. On the other hand, in an adversarial environment, the adversary carefully craft new patterns so that they are assigned to the incorrect data class. In this paper, the issues of the two application scenarios will be discussed, and some effective solutions and future reearch directions will be outlined.